It'd be a very bad restaurant decision indeed to assume that the best sandwich in the Twin Cities is the one that you're eating. In fact, there are so many good sandwiches out there that finding a great one can be kinda hard, unless you're a certain lifestyle site that rhymes with "illest" and have already scoured MSP for its 11 best sandwiches and then ranked 'em. You're welcome. 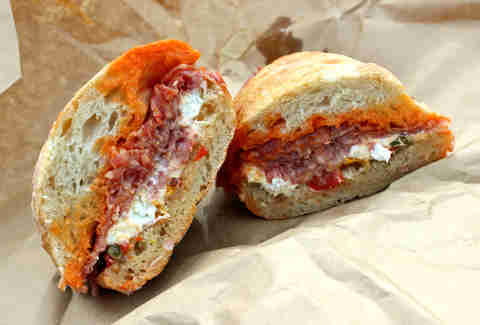 Featuring fatty, spicy soppressata, sweet onion and pepper relish, and fiery sriracha, which are all balanced out beautifully with a generous smear of creamy chèvre, this is the kind of sandwich that we could easily eat every day and never, ever get tired of it. If you’re looking for the best sandwich, it only makes sense to hit up the best baker. For real. Chef John Kraus is known globally for his baked goods, so basically any sandwich you can get on his incredibly prepared baguettes is going to be a knock out. 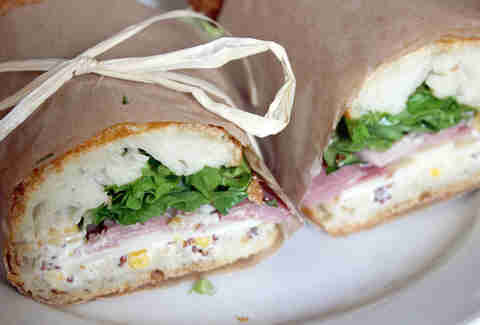 On our recent visit, we got ham and swiss with mayo, mustard, some greens, and sprinkling of pickled corn. It was a thing of beauty. 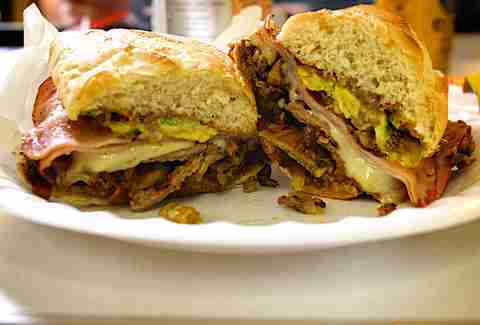 There are other places that do tortas well in the Twin Cities, but Manny's Special is a classic: steak, onions, mushrooms, tomatoes, and jalapeños are grilled together and then covered with ham and cheese. 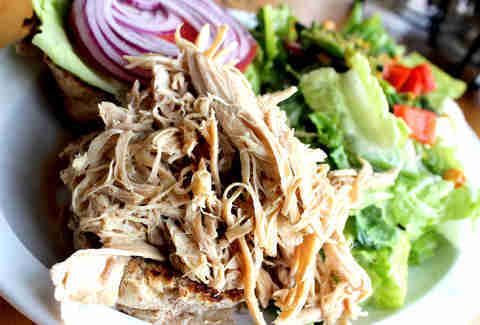 If you're looking for something more traditional try the Cubana, either way you'll leave here satisfied. With six different Rubens on the menu, from the Russian Ruben (aged Swiss, hot sauerkraut, and Thousand Island dressing) to the new Roast Beef Ruben (horseradish sauce, sauerkraut, and Swiss), it can be hard to choose which to try. We suggest sticking with the classic -- there's a reason it's famous -- with thin-sliced Chicago corned beef, Swiss cheese, hot sauerkraut, and house-made Reuben sauce on grilled dark rye. Best of all? It caters. Offering firm proof that a turkey sandwich doesn’t need to be lame and boring, this South Minneapolis bakery and café does the traditional lunch some justice. Roasted and braised turkey is served on a delicious cracked wheat roll with a slice of tomato, some red onions, lettuce, and mayo. The Twin Cities might not be known for its lobster rolls, but Smack Shack does 'em right. 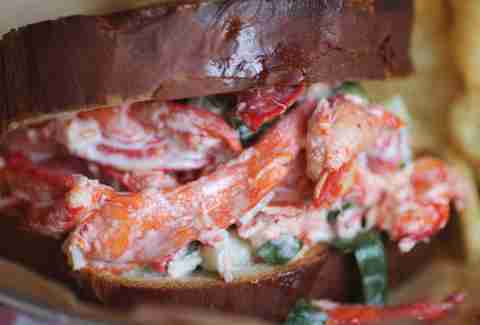 It's original is made with lobster salad, cucumber, and tarragon on griddled milk bread, and the Connecticut-Style, which is just a few bucks more, is perfect for the colder weather with warm lobster, lemon, and chive on a warm-split bun. 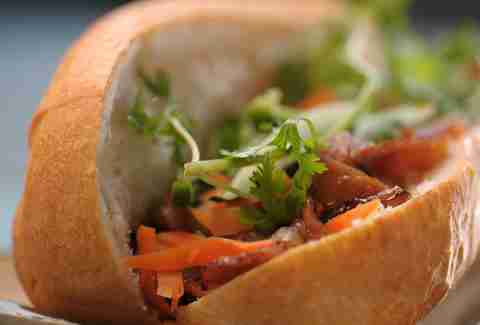 This iconic deli's bánh mìs start at $3.75, and you''ll only have to cough up a quarter more to get our favorite, the grilled beef, with butter, pickled carrots, cucumber, cilantro, and jalapeño peppers on a French baguette. You can sit and argue all day about what sandwich you should get, but when it comes to a good roast beef, leave it to the butchers. 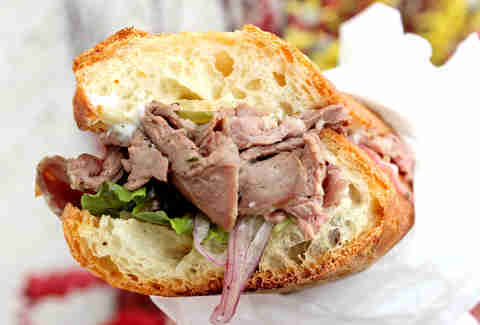 The sandwich comes piled with rare and juicy roast beef and you should absolutely get it with the works because the hot peppers really tie this whole sandwich together. 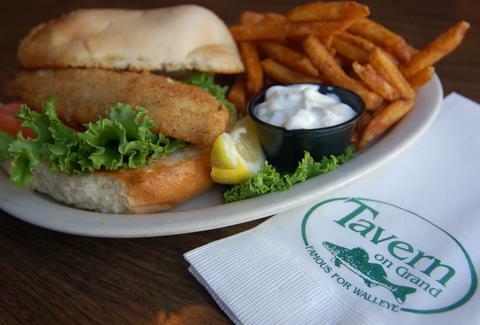 There's nothing more Minnesotan than walleye, and even though there're lots of restos with this classic sandwich on the menu, Tavern on Grand is the place to go. Even the napkins and menu boast about how famous it is. 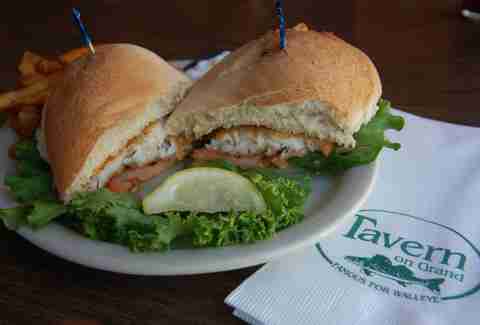 Severed on toasted ciabatta, you can get this fish cooked three different ways (grilled, blackened, or deep-fried), and top it with three different sauces (tartar sauce, jalapeño tartar, or handmade béarnaise) plus lettuce and tomatoes. This St. Paul spot not only bakes its own bread, but it also cures and smokes its own meats. 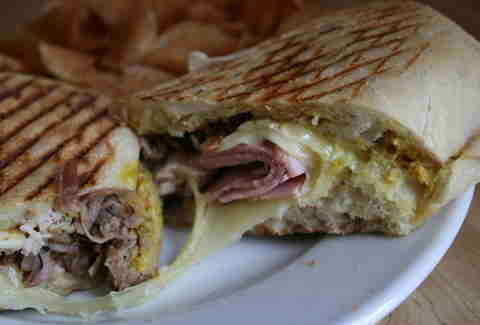 That's what separates its classic Cubano -- cumin pork, smoked ham, Swiss cheese, and pickles, all covered in homemade mustard and mayo, and served on ciabatta bread -- from the rest. 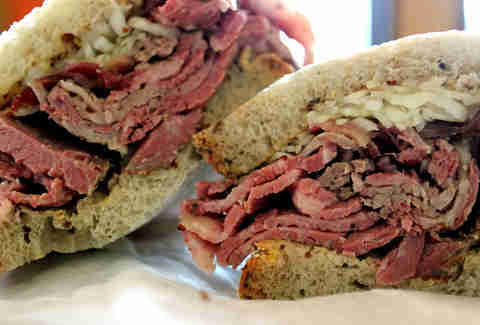 Getting a good pastrami on rye isn’t always as easy as it sounds, but this is the one to get, hands down. 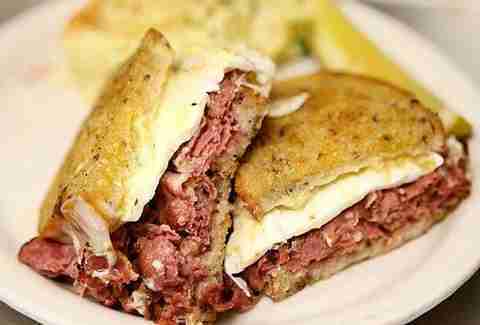 The pastrami is spoon-tender and ribboned with delicious, succulent fat. Served with a bit of pickled cabbage and some mustard on soft rye bread, if you’ve never understood why people go nuts over pastrami, this will be the sandwich to teach you that lesson.